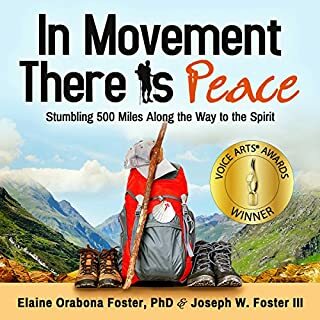 From the physical high of crossing the Pyrenees Mountains to the mind numbing rhythm of walking through the endless wheat fields of the Meseta, the route was filled with many challenges. Accompanied by his "guru" wife, Amy, Schirm faces setbacks like bed bugs and tendinitis, all in the pursuit of elusive answers. The lessons came from the serendipitous experiences and conversations with fellow pilgrims from all over the world. 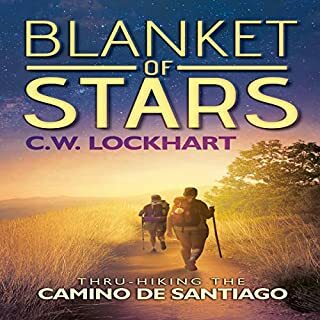 Sunrises to Santiago chronicles a wondrous journey of personal growth, physical pain, and outdoor adventure while teaching us all to enjoy life's incredible journey. I really struggled to finish this book. I don't think it was very well written, the only fully developed character was the author / narrator (even his wife who he walked with the WHOLE way functioned only add a plot device to spew inspirational sayings at opportune times) and he seemed so whiny and self-absorbed that I never empathized with him. 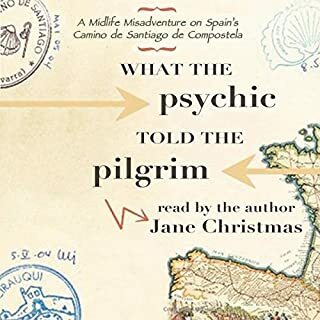 It seemed like he was constantly trying to be profound, and that really got in the way of telling an honest narrative about the author's experience on the Camino. Reading a memoir is choosing to spend a significant amount of intimate time with the author -- seeing the world through their eyes, and hearing their thoughts. It helps if you like the author. In this instance I did not. Sunrises to Santiago a beautiful and apt title. 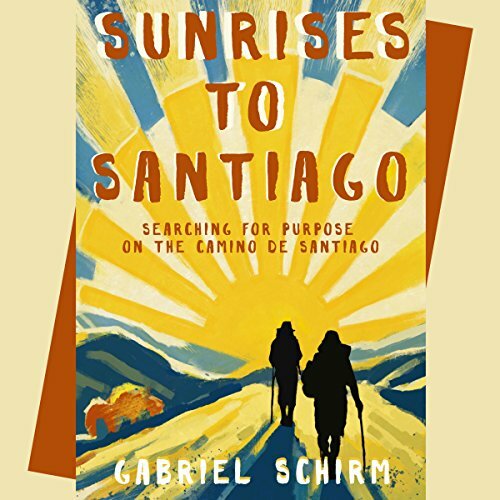 Gabriel Schirm does the Camino and its past, present & future fellow travelers justice in this memoir. I loved every morsel of this book, from the Authors voice to his descriptions of The Way and the ending that feels like a beginning not only for the Author but the reader as well. 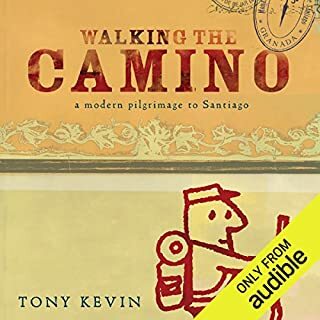 It is my dream, for he past 2 yrs have felt a palpable pull to walk the Camino De Santiago and I feel gratitude to Gabriel Schirm for writing his book that brings me one step closer to my own walk. The great thing about this book is it reminds me that I can start right now on being present in the moment and to not take myself so seriously. Thank you Gabriel and Amy for sharing your wonderful story with me. Buen Camino! Quite good, especially compared to some others. Does capture quite a lot of the physical, mental and spiritual aspects of the Camino. Really, the only kink in the story is how someone that intelligent could take so long to realize that their hard 30 day limit should be "busted". I particularly like the clear, enunciation and the sort of "staccato" narration. A little less smooth for native speakers, but I bet people that speak English as a second language will be able to understand the story with much less effort. I liked the way the story was written and the detailed descriptions of the experience and the land. I listened because I am preparing and think it will be helpful. 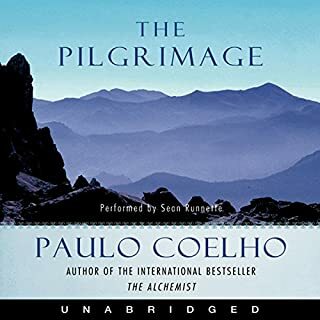 This was my first audio book, which I "read" on my way to work in my last weeks there before going to walk the Camino. It was a enjoyable read, I appreciated the lessons and warnings. One little twinge of annoyance - don't try to do accents!! Aside from that, a good read. Thanks, and well done on finishing the Camino! 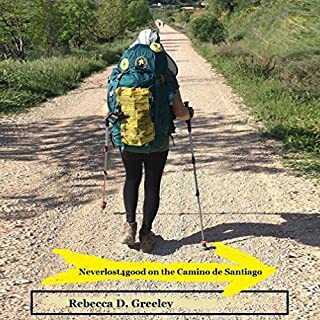 Great story about life lessons from the Camino. I felt the narration was unfortunately a bit rough, i.e. trying to talk too slowly and over enunciate to such a point that he often lost the flow of voice and the natural cadence of storytelling. The author should have chosen someone else to read this book. He sounds too robotic. We need more emotion and flow in the reading. I should have read the book, not listened to it because I would have enjoyed it more.